Strawberry e-liquid by Webster’s One Pound Wonder is a vibrant fruit liquid that’s perfect if you’re looking to branch out from your usual flavour. 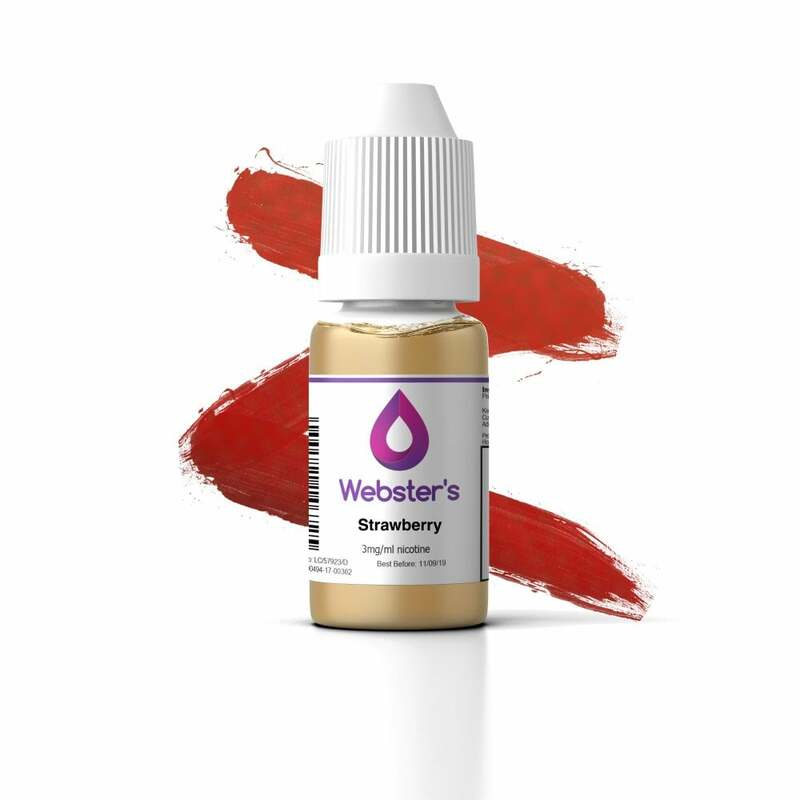 Webster’s Strawberry is full of flavour and is sweet without being overpowering - perfect as an all-day vape! The only liquid I use now. After spending so much money trying all different sorts of liquids this is the best suited for me. All day vape. Not sweet and sickly, does not burn out my coils, smooth strawberry that you don't get tired of like others. Fancy bottles and expensive liquids don't do me the trick, so happy with this. I hope they decide to create a lemon flavour at some point, every other lemon/lime I've tried is too sweet for me. Try this liquid, for a pound you can't go wrong. A good budget liquid that keeps the nic demons away. Best tasting fruit liquid that I have tried,smooth,right amount of sweetness too. Good stuff for a quid. This liquid is the best one I have used, I've tried every brand possible and nothing comes close to it. At first I thought I would try it as it was only £1, I'm so glad I did. I wouldn't buy anything else again in the strawberry flavour. I buy the £1 liquids for friends that visit, I buy 10 and within a week they disappear quickly.